Love Italian wine? This is the club for you. Giordano has now successfully brought that direct to consumer model to the U.S. — where it is allowed (don’t get me started on the inane shipping laws and ridiculous three-tier system in our country) — again cutting out the middleman which in theory means lower prices for you. This is something we wholeheartedly support here at The Reverse Wine Snob.In our effort to find the very best wine clubs we’re revisiting a club that we previously enjoyed in a very small sampling last year. This year we have an expanded tasting that includes seven excellent wines. 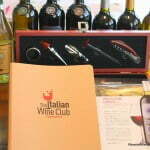 The club is The Italian Wine Club by Giordano Wines. Producing over 2,000,000 cases per year, Giordano is one of Italy’s largest wineries and yet it’s likely you’ve never seen their wine on a store shelf, or even heard of them for that matter. This is because they use a direct to consumer model throughout Europe, selling directly to their customers and cutting out the middleman. 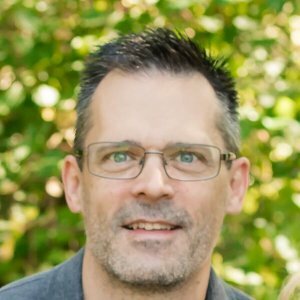 Currently Giordano ships to FL, NJ, VA, TX, CA, IL, MN, NV, DC, ID, LA, MO, NE, NH, NM, OR, SC, TN, WI and WY and they are actively adding more states. They also have a pretty compelling wine club offer if you’re lucky enough to be in one of those 20 states: 7 wines for just $39.90 (plus $19.95 shipping). 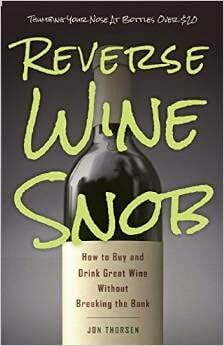 Readers of The Reverse Wine Snob also get an an extra $5 off with code WP2014USA5. 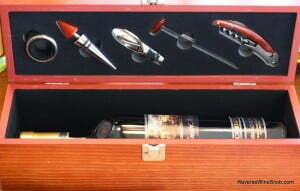 This includes a bottle of the excellent Nebbiolo reviewed below, the wooden wine box and accessories pictured above, very thorough and informative tasting notes and a binder to put them in. We tasted the mixed wine club but they also offer an all red and all white club. This deal works out to less than $8 a bottle even with the cost of shipping (with no further commitment necessary)! Should you choose to stay on, future shipments will pull from their collection of over 40 wines, including Barbera, Barolo, Chianti and more. All that out of the way, let’s get on to the wine, shall we? First up is the 2011 Giordano Montepulciano d’Abruzzo from Abruzzo, Italy. It retails for $11.49. 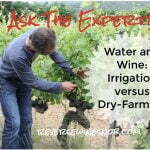 All wines were samples submitted for review. “Produced from 100% Montepulciano grapes, using the name ‘Quality Project’ representing the highest grape selections of the most suitable areas. Deep red in colour with hints of red fruit, juicy flavor, fruity and balanced tannins. Ideal with rich dishes and red meat game. Uncork 2 hours before serving at 66F. The 2011 Giordano Montepulciano d’Abruzzo begins with very pleasant aromas of ripe red cherry and other red and dark berry fruit with a hint of smoked meat. Tasting the medium-bodied wine shows good balance and lots of fresh and tart red fruit wrapped up in a very soft and smooth texture. The dry finish features lovely spice notes along with more red fruit and hints of vanilla. While not overly complex it sure is tasty. You probably don’t have to worry about saving the bottle for the next day because it’ll be gone. Second is the 2011 Giordano Nebbiolo d’Alba Maestri Italiani from Langhe, Piedmont, Italy. It retails for $16.99. “Nebbiolo is one of Italy’s noblest grape varieties. 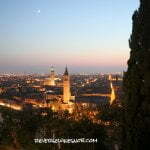 The finest examples come from a very small area of Piedmont called the Langhe, around the town of Alba, south of Turin. Giordano’s Maestri Italiani Nebbiolo d’Alba is barrel aged to further enhance complexity. The result is an attractive, garnet colour; an elegant bouquet of cherry, liquorice and spices; and a dry, well rounded taste with firm tannins. A lengthy fruit finish concludes this graceful wine. To maximize your drinking pleasure, open two hours before serving at 18C/64F with hearty meat and vegetable dishes or fine cheeses. The 2011 Giordano Nebbiolo d’Alba Maestri Italiani begins with a nicely aromatic nose of black cherry, ripe plum, dried herbs, spice and a touch of vanilla. This wine needs a bit of time to breathe to be at its best, but that extra time is very well rewarded. Tasting the wine reveals lots of sweet, concentrated fruit and lots of spice. The flavors include black cherry again, blackberry, cola and a little licorice that comes out on the finish, which also features firm dry tannins and good length. Excellent! Third is the 2011 Giordano Primitivo di Manduria from Puglia, Italy. It retails for $13.99. “Torricella is the small village where the Giordano winery is located, in the area where the Primitivo di Manduria grape grows and it is one of the most important wine areas of Apuliae. We used grapes from old vines cultivated according to the “ad alberello” (goblet) system and then we proceeded with a careful vinification process followed by a wood ageing period. The result is a red color wine with purple shades. Its flavour is rich with hints of figs and other Mediterranean fruits and vanilla with a full bodied taste and a velvety finish. It is suitable for rich Mediterranean courses, red wild and grilled meats, spicy cheeses. 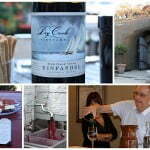 It can be served also a ‘meditation’ wine while relaxing with friends. 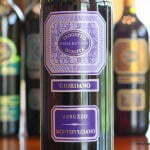 The 2011 Giordano Primitivo di Manduria opens with a very pleasant aroma of plum, vanilla and sour red and black cherry. Taking a sip reveals a smooth, tart and tasty wine and a great example of Italian Primitivo. 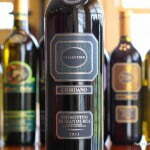 Primitivo is the same grape as Zinfandel and as you would suspect this wine is very much like a good Zin. As such it has some great food pairing possibilities — try it with tangy or spicy red sauces. This easy to drink wine ends dry, long and even a bit dusty. Fourth is the 2012 Giordano Puglia Sangiovese “Apuliae Collection”from Apulia, Italy. It retails for $9.49. “This wine comes only from the Sangiovese grapes, which found in Puglia a favorable ground and climate to enhance their characteristics. The scrupulous process of wine-making at the Giordano cellars of Torricella led to this intense red wine, with strong notes of violet and a dry, harmonious taste. 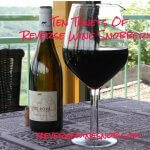 Enjoy this wine throughout the meal and particularly with salami, first dishes and white meat. Serve at 18-20C. 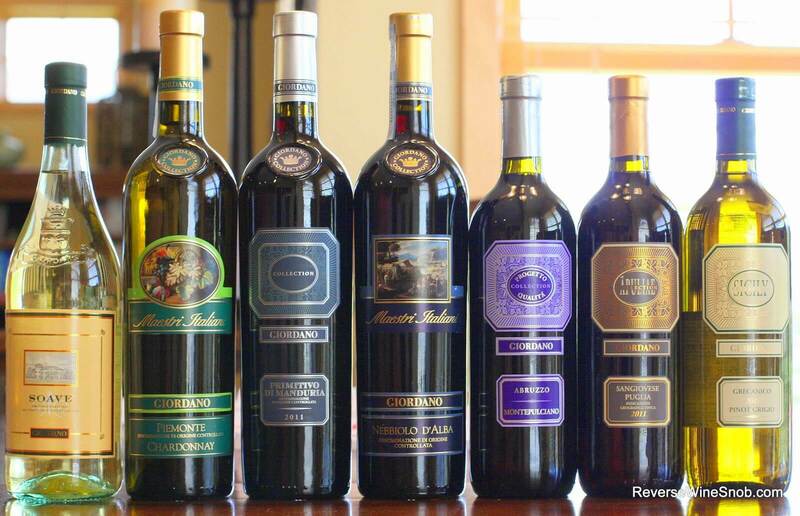 You can’t have an Italian wine club without Sangiovese and the 2012 Giordano Puglia Sangiovese “Apuliae Collection” is a great example of the variety. It begins with a nice aroma of black cherry, red cherry, plum and a bit of spice. Tasting this medium-bodied, pleasant, straightforward wine reveals rich red berry fruit, soft tannins and just a touch of spice. It ends dry with the fruit lingering in the mouth for a long time. This is a very solid Sangiovese for the price that would pair well with pasta. It also held up great on day two. Fifth is the 2012 Giordano Maestri Italiani Chardonnayfrom Piedmont, Italy. It retails for $13.99. “Chardonnay wine finds the piedmontese hills a suitable ground both for climate and soil which are pretty favourable for growing. Body, elegance and wideness are the main characteristics of this Chardonnay. Colour: straw yellow with gold nuances. Bouquet: fine and elegant highlighted by honey and vanilla notes. Taste: full bodied. Food matchings: excellent as aperitif or with cold and fish courses. Serving temperature: 48F. While I’m guessing Chardonnay is not the first (or second or third) grape that comes to mind when you think of Piedmont, evidently it grows quite well there. 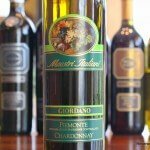 The 2012 Giordano Maestri Italiani Piemonte Chardonnay begins with a very nice aroma of citrus, honey, and perhaps just a whiff of a buttery note. 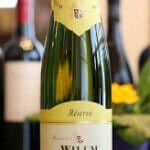 The wine tastes round and full with lots of rich citrus fruit plus a bit of tropical fruit and honey. There are also nice hints of well integrated spice under the fruit. The long finish features lots of lingering fruit and just a hint of a toasty note. Sixth is the 2012 Giordano Grecanico Pinot Grigio from Sicily, Italy. It retails for $11.49. 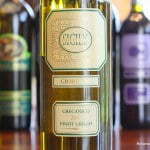 “Born from a careful vinification of two prestigious white grapes, the Grecanico and Pinot Grigio. Straw yellow in colour, it has a fragrant and full aroma with hints of apple. Soft and well structured, this wine is ideal as an aperitif or alongside fish dishes, poultry or vegetables. Grecanico is a popular Sicilian white grape (known as Garganega elsewhere, which is the variety used in Soave). The 2012 Giordano Grecanico Pinot Grigio also adds in 20% Pinot Grigio and the result is a wine that is much more flavorful than your typical Pinot Grigio. It opens with pleasant aromas of green apple and melon. Tasting reveals a very soft mouthfeel and good acidity in this easy to drink wine. Nice hints of herbs and a little spicy minerality lead into the satisfying finish which also features tart fruit. 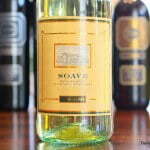 Seventh is the 2012 Giordano Soave from Veneto, Italy and made from the Garganega grape. It retails for $11.49. “This wine is made from grapes grown in the hills to the north of Venice and takes its name from the walled medieval town of Soave. Straw yellow in color with greenish hints. The deep aroma is characterized by floral notes. The taste is elegant and fresh. This light bodied wine is ideal as an aperitif and is perfectly suited to appetizers and seafood dishes. It should be served at 50F. The 2012 Giordano Soave begins with a very fresh aroma of melon, apple and a few floral notes. 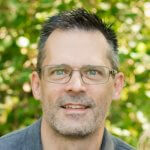 The wine features lots of soft, smooth, round textures with lots of delicious fruit like green apple, melon, pear. You’ll also find good acidity and a tinge of spice. It ends with a nice fruity finish that turns a bit tart and has good length. This is really tasty stuff! If you’d like to check out The Italian Wine Club by Giordano yourself then simply click here! You’ll receive 7 wines for just $39.90 plus $19.95 shipping, a free wooden wine box with many accessories, tasting notes and a nice binder in which to keep those notes. Plus readers of The Reverse Wine Snob can get an extra $5 off with code WP2014USA5. 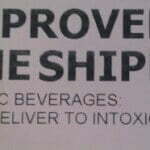 Including the cost of shipping, that’s just $7.84 a bottle, a fantastic deal! Find all our Wine Club Reviews here.